Stalker is a 1979 motion-picture directed by Russian auteur Andrei Tarkovsky that’s loosely based on a short science fiction novel Roadside Picnic, co-authored by Akrady Strugatsky and Boris Strugatsky. Stalker opens in a sepia tone with a long, continuous shot that depicts a bartender serving drink to a lone visitor—who's perhaps expecting someone’s arrival—in a shabby-looking bar. The shot is followed by a text narrative that’s highly reminiscent of the silent era and has a striking similarity to the opening crawl of Star Wars. The narrative is an excerpt from an interview with Nobel Prize winner, Professor Wallace who talks about the occurrence of an extra-terrestrial activity outside an unidentified city that had given rise to a region, where the normal laws of Physics no longer hold true, called ‘the Zone’. In order to keep it free from any civilian intrusion, authorities had taken the unpopular decision to cordon off ‘the Zone’ following the disappearance of the troops who had been sent to investigate the extra-terrestrial occurrence. The Zone seems to exhibit a bizarre and dangerous phenomenon that’s beyond the human beings to comprehend, and contains artifacts with inexplicable, seemingly supernatural attributes. Apparently, deep inside the Zone there is ‘the Room’ that has the power to fulfill the deepest desire of anyone who enters it. However, the Zone can only be entered with the help of a ‘Stalker’—a guide well acquainted with the treacherous ways of the Zone. The job of a stalker is to bypass the heavy security and take his clients inside the heart of the Zone all the way to the Room in order to help them satiate their innermost desires. Vintage Tarkovsky, Stalker relies on long shots with slow, deliberate camera movement; the film contains only 142 shots in 163 minutes of run-time, with many shots lasting for more than four minutes. The slow pace of Stalker gives Tarkovsky the carte blanche to paint the canvas with the vivid colors of his imagination while simultaneously giving his viewers the luxury to gradually imbibe the great influx of unadulterated knowledge and wisdom that only a medium as potent as cinema can offer so readily. Stalker serves to be a highlight-reel of some of the most beautifully pictured shots in the whole of cinema, most of which are depicted in forms of reveries and dreams. 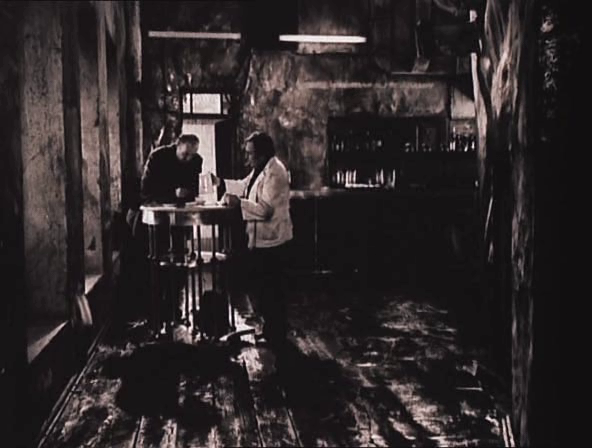 In Stalker, Tarkovsky caricatures three eccentric characters: ‘the Stalker’ who seems perplexed by his haunted past, his hysterical wife, and a crippled daughter named 'Monkey'; ‘the Writer’ who is suffering from writer's block that has rendered him useless to his readers; ‘the Professor’ who buoyed by his passion for Physics seems genuinely interested in visiting the Zone. Overwhelmed by a sense of boredom, the Stalker, who has only recently got released from the prison after having served a term for his previous intrusion into the Zone, agrees to take the Writer and the Professor into the Zone, under some pre-specified conditions, against his wife’s wishes. The Stalker is the apprentice of a previous stalker, named ‘Porcupine’, who got rich by entering the Room, but ended up taking his own life in a desperate attempt to overcome his sense of guilt. 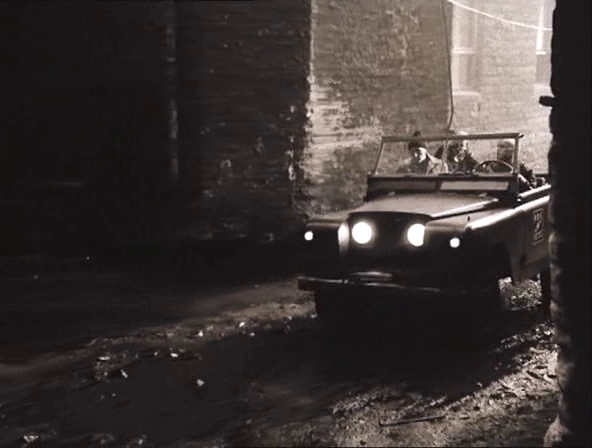 After a tortuous journey through a desolate urban landscape of dilapidated buildings and littered streets, the trio succeeds in procuring a railway flatbed car that would help them penetrate the Zone, but not before experiencing a nigh fatal encounter with the police patrolling teams guarding the entry to the zone. This is followed by a long, continuous shot that marks the trio’s arrival into the Zone, ridding on the flatbed car, as movie’s sepia tone changes into full color. Tarkovsky magnifies the cinematic effect by offering a striking contrast between the somber landscape depicted earlier in the movie to the coruscating, lush green ambiance of the Zone. As the trio steps into the Zone, the Stalker, to the dismay of the Writer and the Professor, sends back the railway car to its point of origin. 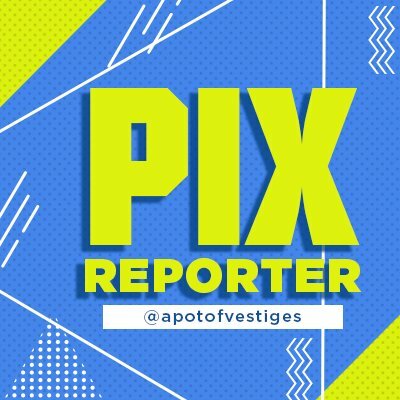 He then tells them that a different path would be followed for the return journey and reminds them of the conditions they had agreed upon in order to hire his services. He also warns them of the ever-changing, treacherous nature of the Zone and beseeches them to religiously follow his instructions in order to obviate the omnipresent danger. The Stalker also reveals to them that the longer the path one chooses in the Zone the lesser is the risk involved and vice versa. With each step they take towards the Room, the tension between the Stalker, the Writer and the Professor grows exponentially as each starts to show his true nature. Their constant bickering, seen in the earlier part of the film, gets transformed into a fierce battle of ideologies as it gets increasingly impossible for them to withstand each other’s bitter company. The Writer questions the Professor about the chaos created by the modern-day instruments while the Professor retorts by questioning the widely proclaimed truth and purity associated with art. The Stalker too offers a demonstration of his superior intellect by sharing his understanding of ‘Sense and Reason’ as the Professor and the Writer seem startled by his explanation. What ensues is a tedious game of chess between four seasoned players: the Writer, the Professor, the Stalker, and the Zone itself. If I reveal any more details about the plot then perhaps I would be doing a great injustice to the viewers as it would rob them of an experience of a lifetime, for the real charm of Stalker lies in savoring it visually rather than imbibing it textually. 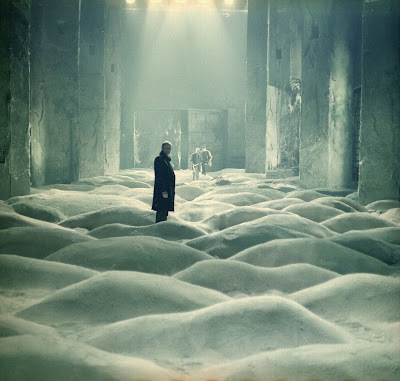 The power and beauty of Andrei Tarkovsky’s Stalker is seldom matched in cinema, and for that matter in the whole of art. On a closer observation of the three caricatures, one finds that despite his obvious plight and limitations the Stalker is the most magnanimous of the lot, not because of his sense of superiority for being a stalker, but because of a perpetual sense of hope that resides in him. On the contrary, the Writer, despite having enjoyed fame and stardom in his life, seems to be the most disconcerted of the trio. The plight of the Writer is most apparent at the 'Meat Grinder'—a long, dingy, claustrophobic, and capricious tunnel inside the Zone—where he delivers a long monologue about the emptiness of his life and the meaninglessness of work. The writer also happens to be my most favorite character in movie and his monologue in which he proclaims that a man writes not because he is a genius but because he is tormented, because he doubts, for he needs to constantly prove to himself and the others that he's worth something is pure gold. The Professor, on the other hand, is by far the dullest and the most cunning of the lot. He uses his curtness and reticence as a shield to protect a hidden motive behind his visit to the Zone. He serves to be a real enigma by seeming more concerned about his knapsack then locating the Room. 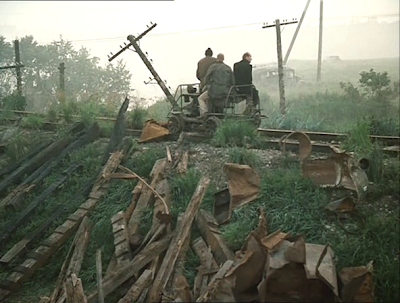 Stalker, like most of Tarkovsky’s works, expatiates upon several themes, interrelated as well as mutually exclusive, dealing with Metaphysics, Empiricism, Existentialism and Spirituality. 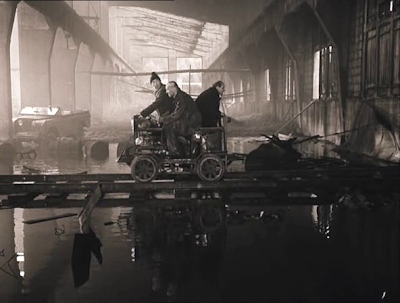 The theme that lies at the core of Stalker is self-confrontation as the different characters in the movie are forced to come to terms with the veracity of their existence, but none (with the exception of the Stalker who surprisingly seems to have the gift of strength as well as intellect) seems to have the courage and the resolve to take the ‘Acid Test’. At the very core, each seems to prefer oblivion to limelight, ignorance to knowledge, for they forget to fathom that courage is not the absence of fear but the conquest of it. It is this lack of will to fight their inner weaknesses that has made them pessimistic and despondent. Using his characters, Tarkovsky also demonstrates to his audience that people tend to falter the most when they are within a striking distance of achieving their goal and the only thing that can rescue them from getting lost into a perpetual oblivion is self-belief. 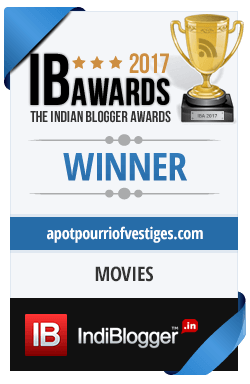 Cinema, like music, on those rare occasions when it manages to strike all the right chords, can make mortals dance to its tunes. But unlike music, which can only impact a living being viscerally, cinema, with its boundless scope of influence, can just not only permeate viscerally, but can also hold sway over the intellectual faculties with similar ease. In order words, cinema can vicariously satiate to the fullest the human needs and desires: whether known or unknown, open or latent. Cinema, like art, can be a great healer and a ferocious inflictor and perhaps it is this attribute that elevates cinema above the mundanities of the quotidian, thereby giving it a scope that’s boundless and power that's unparalleled. All this makes cinema a force to be reckoned with! However, cinema, with its ever-growing dimensions, has served to be a sophisticated instrument that only a few have successfully wielded over the last hundred years. And even fewer have had the courage and the conviction to leverage this power of cinema to propagate their abstract thoughts, deepest desires, innermost pain, and endless suffering, thereby leaving a lasting impression on the global audience. Few pioneers that come to one’s mind are Georges Melies, D.W. Griffith, Sergei Eisenstein, Charles Chaplin, Yasujiro Ozu, and Orson Welles. Ironically, the one moviemaker who is often overlooked despite the fact that his vision for cinema and penchant for moviemaking was both unparalleled and distinctively uncompromising, even during an era that was dominated by colossi like Akira Kurosawa, Ingmar Bergman, Federico Fellini, Luis Bunuel, Robert Bresson, Satyajit Ray, and Stanley Kubrick, is Andrei Tarkovsky—inarguably the greatest auteur to have emerged from Russia since Sergei Eisenstein. The reason that his works are not as widely celebrated as the decorated works of some his contemporaries is that among them his are the most abstract, exhaustive and hence closest to the literary definition of art. In his three-decade long career, Tarkovsky, owing to his constant struggles with conservative Soviet regime, could make only a handful of movies, each of which can serve to be a live thesis on metaphysics, empiricism, existentialism, spiritualism, and theology. Tarkovsky mastered the use of time and space in cinema that helped him to express the hitherto inexpressible. Tarkovsky's oeuvre can be looked upon as a repertoire of avant garde, auteur-driven, thought-provoking works which include timeless masterpieces like Andrei Rublev (1966), Solyaris (1972), Nostalghia (1983) and The Sacrifice (1986). Overall, Stalker presents cinema at its purest and it wouldn’t be a hyperbole to proclaim that there’s absolutely nothing that can be compared to the power of the movie. Stalker operates at the highest echelons of cinema; at the time of filming of Stalker, Tarkovsky too was at the pinnacle of his movie-making career. Like a quintessential work of art, Stalker redefined the very meaning of cinema for the global audience. Stalker can serve to be an experience of a lifetime for a viewer who is patient enough to savor it scene by scene, inch by inch. Since Stalker deals with a multitude of themes and has a multi-layered narrative, a second and probably a third viewing maybe extremely useful. In fact, the movie gets better with each subsequent viewing with the first being the most painful and the last being the most rewarding. The actors in their respective roles deliver memorable performances that help bring the movie's eccentric yet realistic characters to life. 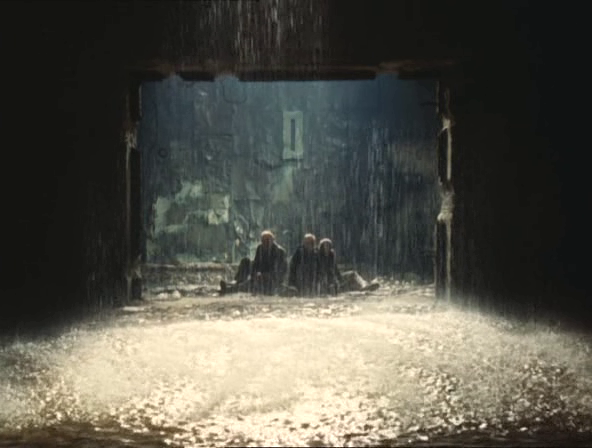 The synergy between Stalker's hypnotic electronic background score and its picturesque cinematography makes the movie poignant as well as visually stunning. The movie had been initially shot on an experimental film that couldn't be properly developed. 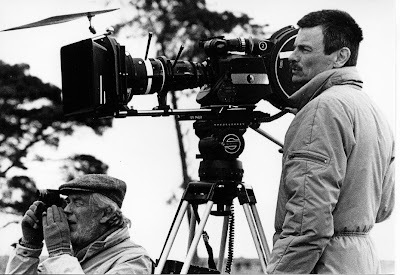 The incident nearly ruined Tarkovsky who bounced back by managing to re-shoot it into a two-part film that gave him the much-needed leg space to meet the deadlines and a boost in funds. 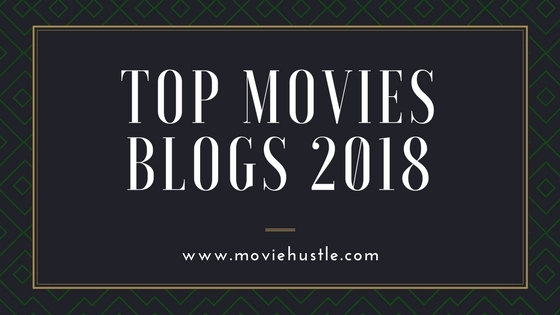 With a viewer base that’s increasing with each passing day, Tarkovsky’s oeuvre seems to have finally carved a niche for itself. Today, Stalker is widely regarded, in film circles, as one of the finest specimens of movie-making. In fact, it’s well on its way to attain apotheosis, if it hasn't already, along with some of the other masterpieces made by Andrei Tarkovsky. I am a big Tarkovsky fan, but missed this movie. Your review urges to watch the movie immediately. This was an absolute treat. Thanks a lot. I think, like rashomon, stalker redefined cinema for a whole lot of people. your narrations was like a journey through memories. now i have to watch it again. Thanks a ton, Arun... anyone who loves cinema has to be a Tarkovsky fan! The pleasure is all mine! 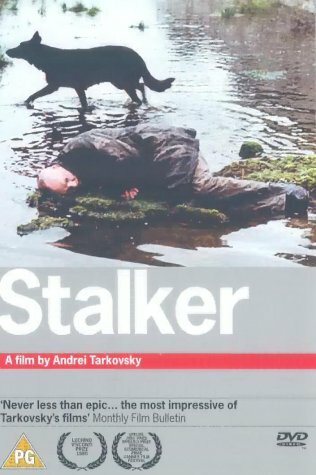 Stalker undoubtedly features amongst the highest echelons of cinema and Tarkovsky,at the time of filming of Stalker, was a movie-maker at the pinnacle of his movie-making career. Stalker is a great testament to the true power of cinema!!! 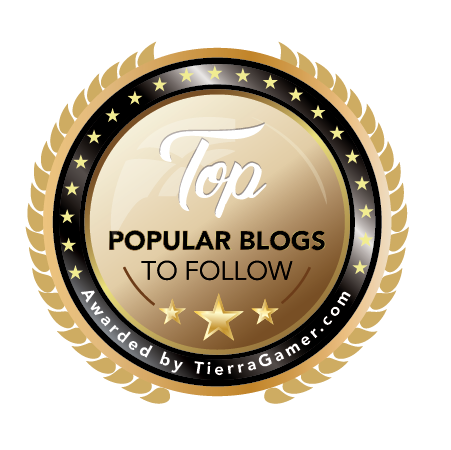 Thanks for sharing your thoughts. 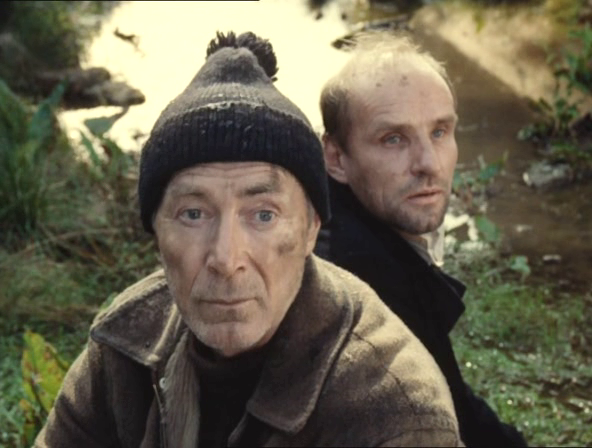 Stalker is one of my very favorite movies and holds a special place in my heart. I have watched it many times in the last 3-4 years and it gets better each time. I have heard about the game but I am not really a game buff... none the less, I would definitely give it a try one of these days. Since you liked Stalker, you should also try out another film of Tarkovsky: Solyaris (1972). Hollywood tried to remake it with George Clooney in the lead but it failed miserably... they forgot that one just cannot improve upon perfection. But, do bear in mind it's going to be the most challenging film that you will ever watch in your life. It will challenge you in so many ways but if you persevere you will be thoroughly rewarded. 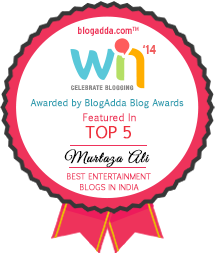 Hi Murtaza, challenge accepted! I'll definitely check out Solyaris but first I'll spend a bit more time with Stalker just to help me to assimilate it more. I feel like I've accidentally stumbled across something so rich that I should be patient and slowly savour my understanding rather than greedily rush in and spoil these treasures. Definitely try the game(s) if only to see how they've recreated 'The Zone'. Great write up of a great film. One of the most astonishing pieces of cinema ever created. I would love to see this (and Nostalghia, hell any Tarkovsky) on the big screen. Hopefully will soon. Thanks... I am glad you liked it! I just can't agree with you more about the greatness of Tarkovsky's cinema. It would indeed be an experience of a lifetime to watch his best works on the big screen. 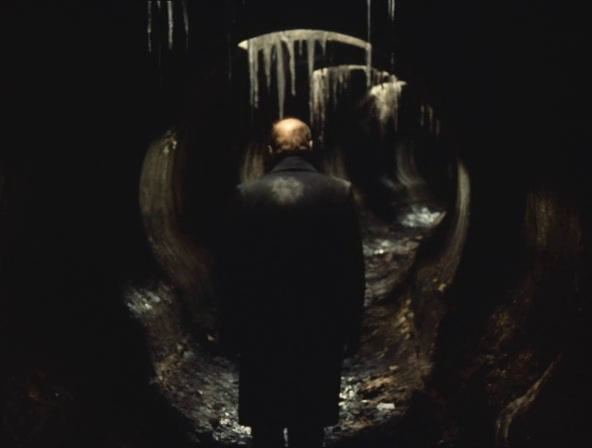 I've read that Tarkovsky said that he viewed Solaris as an artistic failure because it did not transcend genre as he believed his film Stalker did. Now while I really like Solaris, I will agree with Mr. Tarkovsky that Stalker transcended the genre. To me this is a film, like 2001, that just put cinema miles ahead of its time. I feel Stalker is what cinema should be and yet rarely is. And, as you would have noticed it in my review, it's very close to my heart. But, I feel that Solyaris is no less... it's a more complex work of cinema (regardless of what Tarkovsky felt) and I am yet to get hold of it completely... hopefully, one day I will!!! 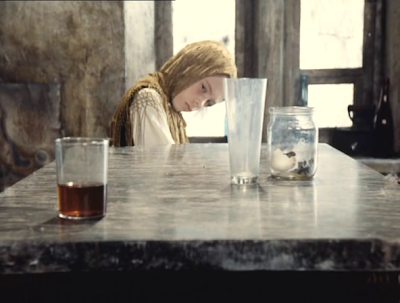 Movies like these, the works of Tarkovsky, are also very close to me. Like Bergman and Fellini, I have a spot for each of his films that I watch. And Solyaris is one of those films that has stayed with me; it really is a complex work. 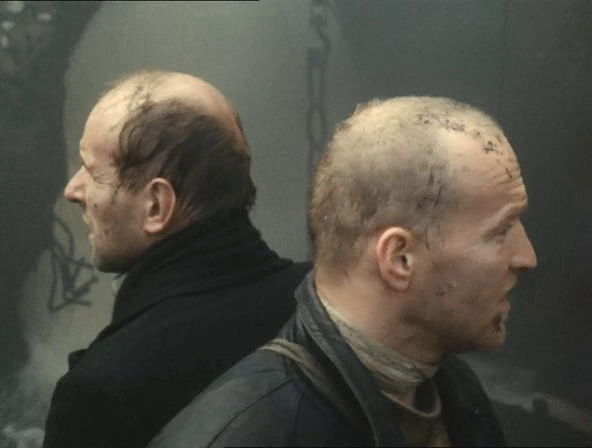 But Stalker is just such a pure film that sometimes I just don't have the words to describe it. 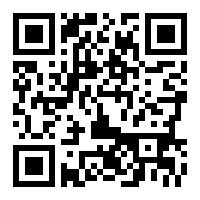 Btw, I noticed that you don't have Zerkalo in your movie index. 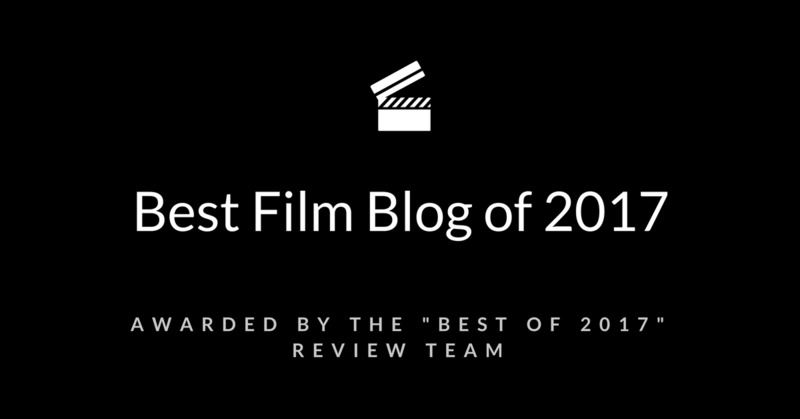 Have you gotten around to watching it yet?